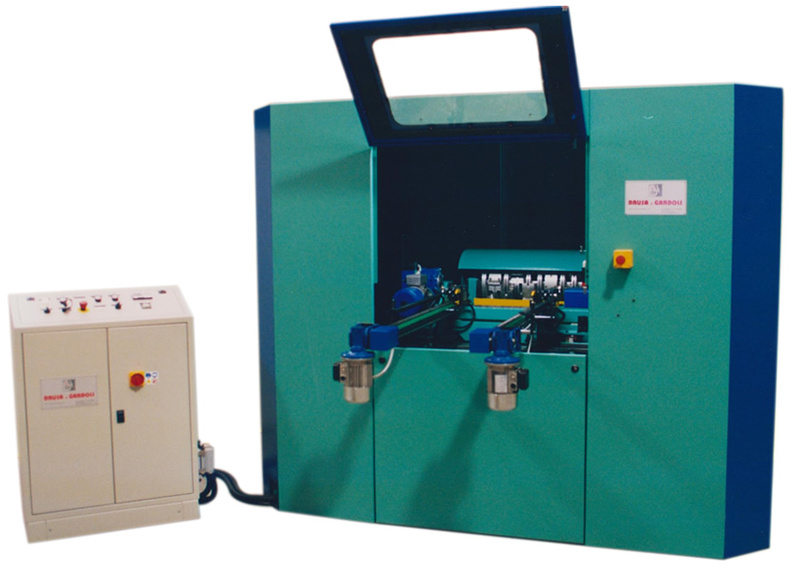 Copying milling machine for handles turning and milling operations on straight and taper parts with max length 600 mm. 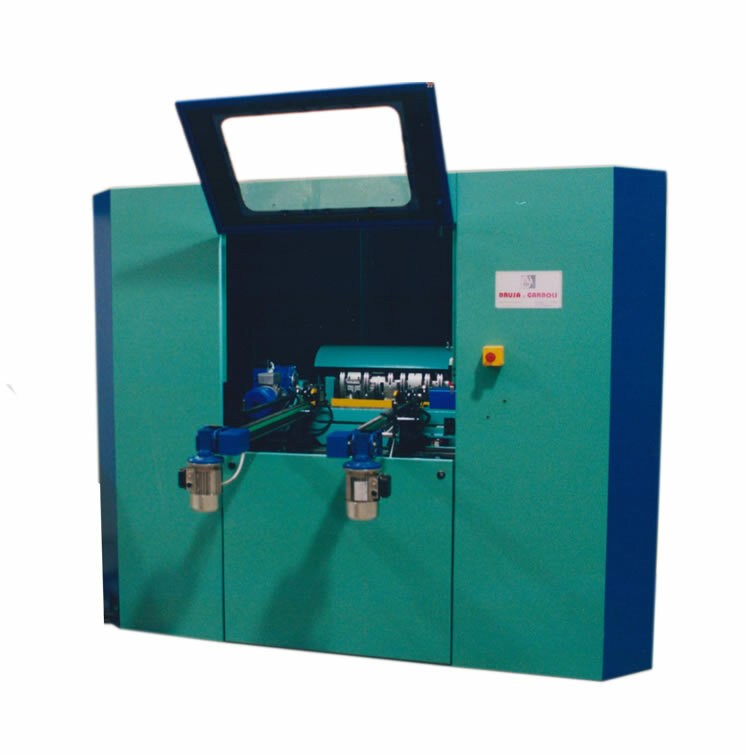 and having round, oval or irregular section; this unit works with two mechanic templates that enable to produce two different sections on the same item; on the machine are mounted cutterheads and special knives in accordance to shape that must be obtained on the workpiece. Machine productivity can change from 2 to 6 pieces per minute according to workpieces length or shape. This units thanks to its high productivity rate is particularly suitable to produce agricultural tools handles, stairs spindles and posts, painting or brush handles, tables and chairs legs as well as furniture fittings. Maximum length: 600 mm. Feed motor for piece rotation: 0,37 Kw. 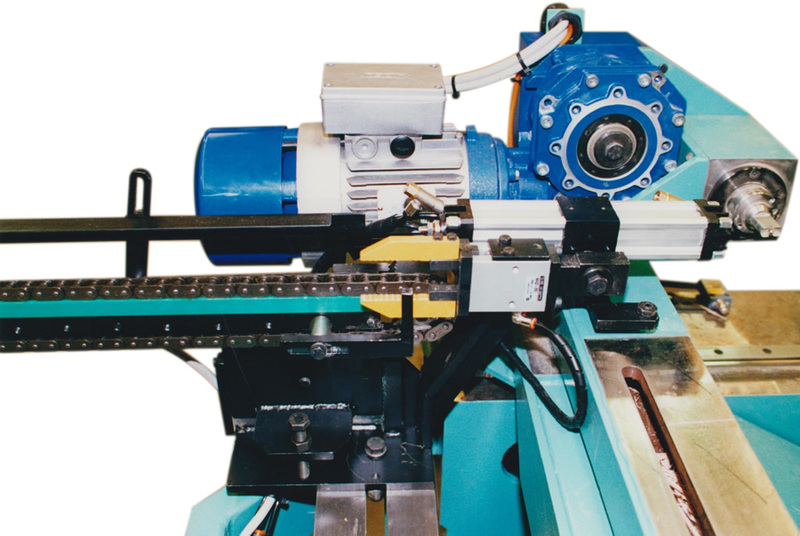 “Z” axe – right feed table (tailstock): 2,5 N/m Brushless Feed motor for cam rotation: 0,37 Kw.